Proudly providing vent cleaning portland or air vents cleaned for both Residential & Commercial applications. Air Vents Cleaned by true professionals! Our background gives us an edge in knowledge over many Vent Cleaning Portland Or competitors. We have extensive training in Ventilation & Duct Work, in fact, many local builders use us for venting their Bath Fans, Dryer Vents, and Kitchen Hood Vents. Get your Air Vents Cleaned by certified Ventilation Technicians and know the job was done right! 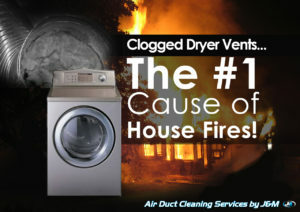 Dryer Vent Cleaning Portland Or would have prevented this fire! Dryer ductwork is often installed improperly or very poorly routed, causing slow dry times, wear & tear on clothes dryers and excessive lint buildup. Not only do we specialize in vent cleaning portland or air vents cleaned, but we can also recognize potential problems in your dryer duct and either perform repairs or offer consultation. A popular option is to upsize dryer ductwork for better airflow resulting in less lint accumulation. Routing can be improved by reducing bends, therefore, improving flow. It is common especially in Portland OR to see cheap aluminum ducting from local hardware stores instead of quality commercial galvanized ducting like real pro’s install. Thin cheap ducting materials will corrode much faster, costing you more repairs down the road. The dryer vent is visually inspected; air flow is tested using a meter Technician. Outside termination louvers are removed and actual dryer appliance is disconnected to allow access. A stiff bristled brush is run thru entire length of Dryer vent simultaneously with a vacuum. The lint trap, under and behind an appliance, and back of actual Dryer are all thoroughly cleaned. Upon completion of air vents cleaned, Dryer Vent is visually inspected. If any lint or debris remains, Technician will repeat the process. Technician reinstalls appliance, Dryer is briefly turned on to verify improved performance and catch any remaining lint. The technician uses Digital Flow meter to recheck Dryer Vent. Scheduling Dryer Vent Cleaning Portland Or is an inexpensive way to avoid dangerous fire hazards, greatly improve drying times and make your clothes dryer last as long as it should! Lint buildup like this is a very real fire hazard! Dryer vent cleaning portland or air vents cleaned should be done at LEAST annually! Risk of a fire caused by lint buildup is very real. Also, if you do not regularly have your air vents cleaned appliances can wear out prematurely and clothing will not dry as quickly. Unfortunately, many folks do not realize the service is needed until it is too late; the dryer vent is completely clogged or their clothes will no longer dry in one cycle. Lint buildup happens gradually like a “snowball”, often going unnoticed. Customers always comment on how much faster clothes dry after vent cleaning portland or air vents cleaned services are performed. At J&M, we believe in doing jobs right, starting by always cleaning dryer vents from both inside your home and outside from the flapper, ensuring the entire length of the ducting is 100% clear of lint & debris. 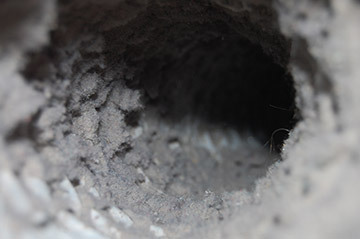 Unfortunately, a vast majority of companies offering vent cleaning services do a mediocre job at best, never even disconnecting the Dryer, which will always leave lint buildup. We always completely disconnect the clothes dryer, vacuum all around laundry room floor and of course actual clothes dryer itself. Customers can have their Laundry Air Vents Cleaned at a surprisingly affordable price while completely eliminating a very serious fire hazard. We believe in leaving our valued customers with a “Fresh Start”, of course always clean dryer lint traps as well! Vent cleaning portland or air vents cleaned in apartment complexes should be done at least once annually. In many cases, lint removal in apartments must be completed to meet insurance requirements as lint removal noticeably reduces fire hazards for yourself and neighboring units. Be sure to request that all dryer vents in your complex are cleaned at least annually! Home fires caused by excessive dryer lint buildup from a neighbor’s unit can quickly spread to other units as well. Apartment complex Dryer vent cleaning Portland Or is very affordable. We offer group rates to apartment complexes if several units can be done per trip. Even without group rates, we perform apartment dryer vent cleaning Portland Or Metro and surrounding areas at very competitive rates, of course providing top-tier service and always coming in considerably cheaper than other companies providing air vents cleaned in apartment buildings! Vent Cleaning Portland Or services include Motel/Hotel laundry rooms, Laundry facilities within RV parks or Campgrounds and Laundromats. Commercial Air Vent Cleaning Portland Or services include preschools and daycare centers, parents will greatly appreciate their children breathing sanitized & uncontaminated air, and you can proudly display a certificate from us showing professional Air Vent Cleaning Services have been performed including all air vents cleaned and sanitized. Many clothing stores, convenience stores/gas stations, candy shops and other retail businesses that sell to the public from a facility also use J&M. Other commercial vent cleaning services include Gyms, Fitness Centers, Dining areas, Offices, showrooms, and more. 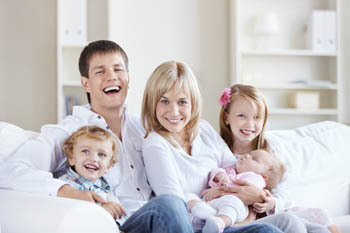 Providing your customers with clean air will show that you care! An antibacterial fogger solution can be used upon request. Our antibacterial solution is unscented & 100% environmentally friendly. Most competitors push this service heavily, using a strong lemon scent so customers “Can tell something was done…” A small 110 volt machine pressurizes pre-mixed solution into a fine mist which is placed into air vents, furnace blower fan pulls mist thru out heating system. To summarize, it compares well to sanitizing a counter-top. The antibacterial fogger is recommended for people suffering from indoor allergies, pets and situations in which their heating system ductwork may have mold or bacteria present. Vent Cleaning Portland Or customers with known allergies have often told us antibacterial fogger dramatically reduced their symptoms. We’ve been told similar lines time & time again by our wonderful clients: “Scheduled air vent cleaning Portland Or has been noticeably beneficial. My furnace filters last much longer. I’m not worried about costly heating system repairs due to debris in my HVAC system. The amount of dust in my home was greatly reduced. I can FEEL air coming out of my air vents is contaminant free”. We offer vent cleaning Portland Or services with pride, because we know from personal experience the benefits our customers will receive. Having your air vents cleaned will let you sleep soundly without any worry of a fire caused by excessive lint buildup. Breathe easier knowing your facility has taken advantage of our very affordable air quality services, proving to valued customers you care.